Wargaming is pleased to announce that from today, World of Warships: Legends is available to download for free on PlayStation®4 and Xbox One with its Early Access release. A new generation of budding captains can look forward to hoisting the colors, as Wargaming St. Petersburg brings the beloved epic online naval combat loved by millions on PC to home consoles for the first time. The game supports English, Russian, Japanese, French, and German, and launches with a host of ships to unlock, legendary commanders to add to your ranks, and entire oceans to conquer. 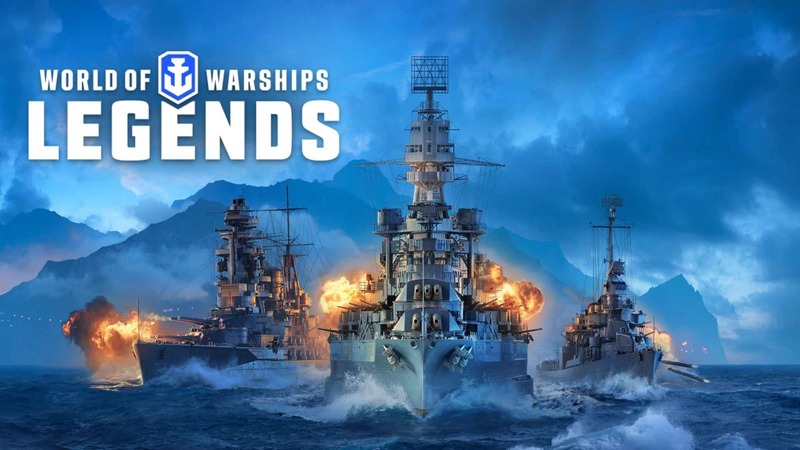 World of Warships: Legends is the second Wargaming title to launch on consoles, with World of Tanks: Mercenaries welcoming over 18 million players to join the fight to date. World of Warships: Legends is no simple conversion of the global PC free-to-play phenomenon. This game has been built from the ground-up to take full advantage of the power and capabilities of the current generation of home consoles. With faster and more exhilarating combat, more options to develop your commanders, a revamped user interface, intuitive new controls, and console-exclusive content, this is an experience that can only be possible on PlayStation®4 and Xbox One. Early Access players on PlayStation and Xbox will join epic naval battles sharing the duties with more than 20 historical commanders, on board of over 50 legendary ships! Destroyers, cruisers and battleships are at your service and ready to show their full potential! Traverse 15 different maps and enjoy HDR support in the action-packed clashes to dominate the seas! Players can also look forward to regular updates and lots of new content in the future, with more new nations of ships on the horizon and utilizing full power of legendary commanders, experience new maps and witness glorious full 4K support for PlayStation®4 Pro and Xbox One X expected later in the summer! Players can bring the horizon to them right away. World of Warships: Legends is available to download from the PlayStation Store and Microsoft Store starting April 16.